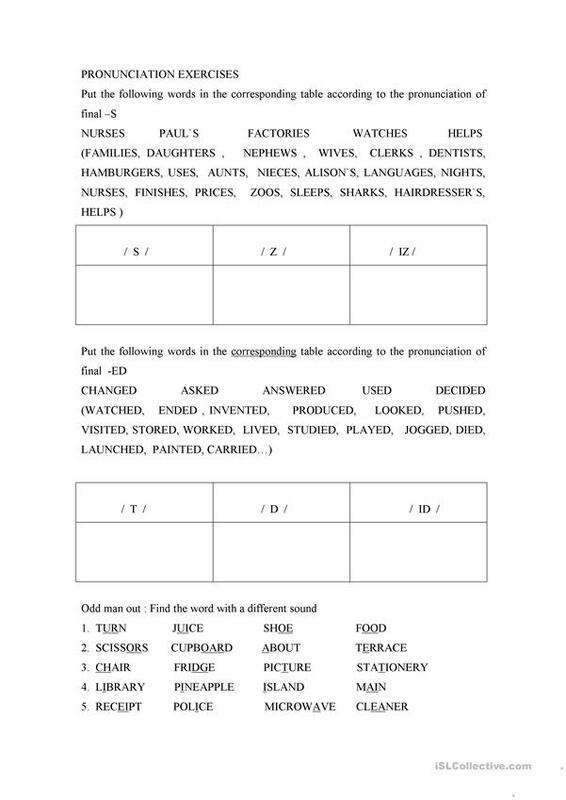 Exercise on the pronunciation of final -s and final -ed for elementary students. 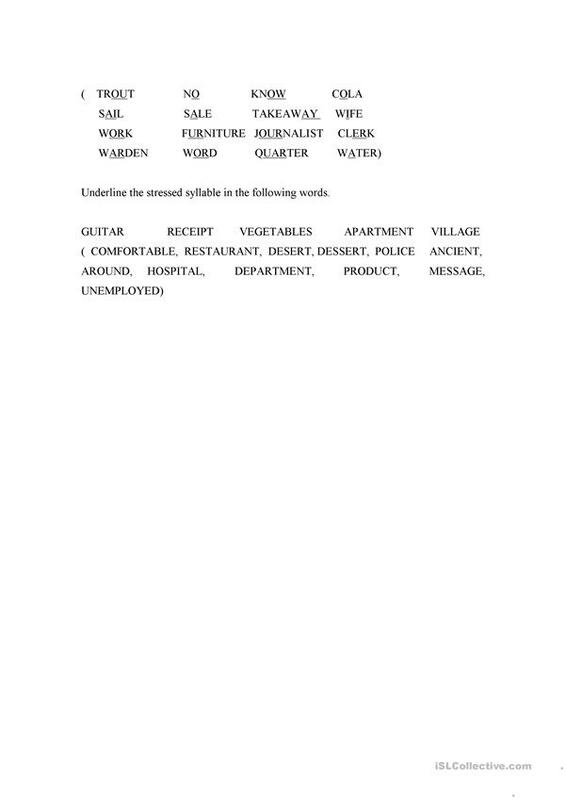 The present downloadable worksheet is intended for adults at Pre-intermediate (A2) level. It is a useful material for practising Phonetics (pronunciation, IPA, phonetic symbols) in English, and is useful for improving your pupils' Speaking skills.